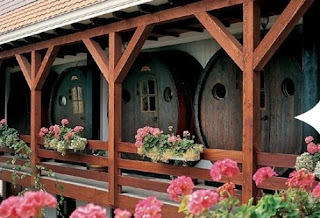 Four of the rooms at the Hotel de Vrouwe van Stavoren in the Netherlands are made from recycled wine casks. And yes, in case you're wondering they are definitely larger than your average wine barrel at 14,500 litres vs. the 225 litres or approximately 59 gallons you're probably used to seeing. Each wine cask is large enough to accommodate two single beds with a sitting room and bathroom. 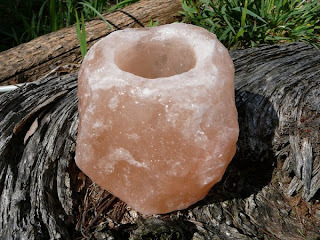 This tea light holder is hand carved from a block of natural salt crystal mined from the earth. In addition to adding a soft glow to your table, as the salt warms from the flame of the candle, it also emits negative ions to purify the air. Made from recycled sail cloth, these stylish and colorful bags are perfect for a day at the beach or a seaside vacation. Available in several styles. Each sail bag identifies what boat it was on and which seas it sailed on. Machine washable with interior zippered pockets. 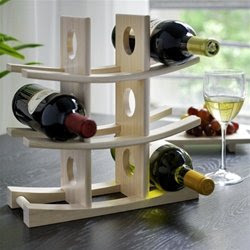 I love the clean lines of this bamboo wine rack. Just the right size for a city apartment or ultra cool condo or loft, it holds 9 bottles. Measures 12 1/2"L x 5"W x 12 1/2"H.
These fabulous reclaimed wood and veneer iconic panels are absolutely stunning when used as wall panels. Made from three species of wood--Western Redwood, Douglas Fir, and Asian Teak--the finish is low- V.O.C. varnish. 40% more efficient than wood, this eco-glass fireplace burns Fanola, a clean biofuel. That means there's no mess from soot or smoky fumes to deal with. Weighing 60 lbs. it measures 18"W x 18"L x 15¾"H and despite it's small size, it is able to heat a small room. 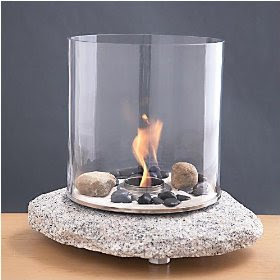 Granite base, glass cylinder to contain flames, and decorative sand and stone base. An aromatherapy bowl with essential oils is also included. 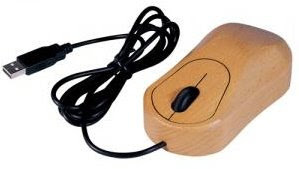 If you're ready to ditch your plastic, petroleum derived computer mouse, then check out this 3D Optical Natural Wood Mouse from a Swedish company called Swedx. Boasting the same ergonomically-designed casing as your plastic mouse, it's available in ash or beech wood. 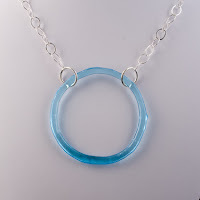 Made from a recycled bottle, this necklace is simple, eco-friendly, and beautiful in its simplicity. Handmade in Georgia by Smart Glass artist Kathleen Plate. Sterling silver chain and accents. Pendant approximately 3 in. in diameter, 18 in. chain. 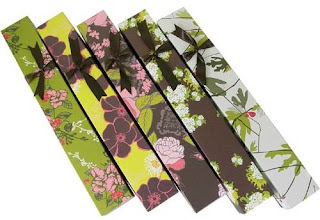 These beautiful drawer liner papers are made from 30% post-consumer recycled paper and delicately scented. Available in 6 beautiful patterns--Fig, Verbena, Green Tea, Rosewood, Orange Blossom, and Cinnamon Clove (not shown here). Sheets measure 19.5 in. x 27 in. 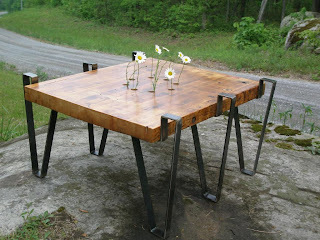 Designed by artist and eco-friendly furniture designer Danial Balog, this table, like many of 11th Hour's pieces (that includes sculptures as well), is made from reclaimed materials and VOC-free finishes.